Brunet Y.R., Khodr A., Logger L., Aussel L., Mignot T., Rimsky S., and Cascales E. 2015. 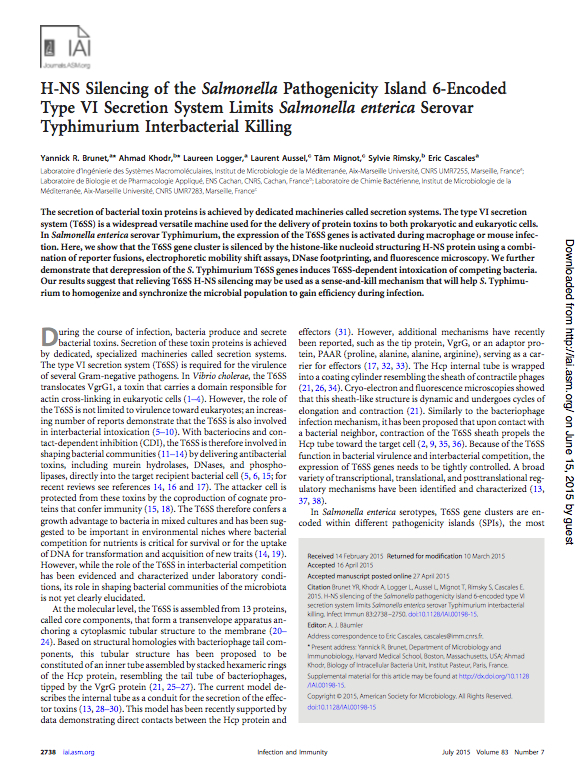 H-NS silencing of the SPI-6-encoded Type VI secretion system limits Salmonella enterica serovar Typhimurium interbacterial killing. 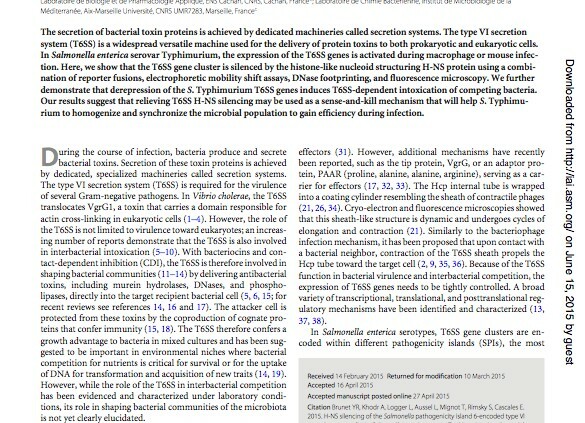 Infect Immun. 83, 2738-2750.